An inspired trio of tasteful wines from Novelty Hill’s acclaimed Stillwater Creek Vineyard packaged in a handsome wooden box. 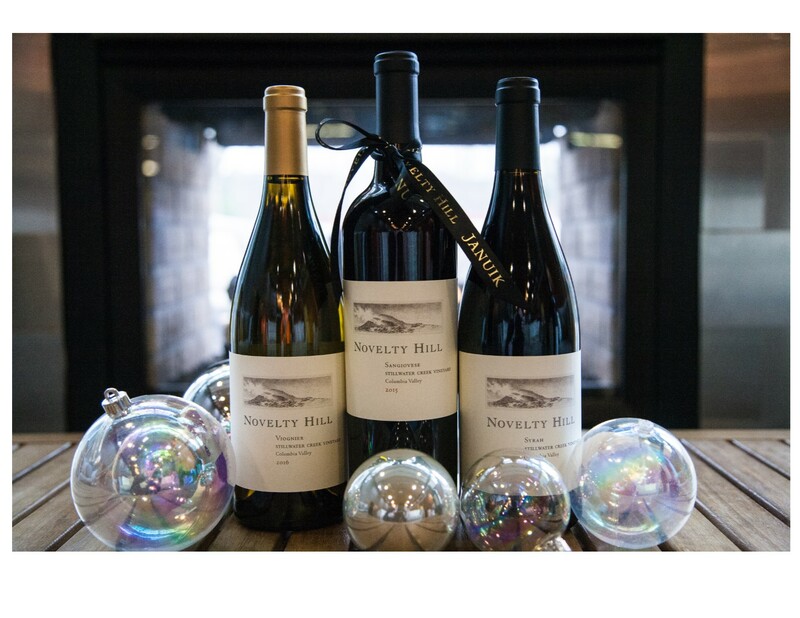 From Novelty Hill's acclaimed Stillwater Creek Vineyard comes this trio of tasteful wines, ready for gift giving in striking wooden box. Planted in 2000 on a steep, south-facing slope with one of the most diverse clone selections in Washington State, Stillwater Creek quickly earned a reputation as one of the Columbia Valley's top vineyards. Our Celebrate Stillwater Creek Vineyard set includes one 750 mL each of the 2016 Novelty Hill Stillwater Creek Vineyard Grenache, 2016 Stillwater Creek Vineyard Syrah and 2017 Stillwater Creek Vineyard Roussane, all consistently rated 90+, vintage after vintage. Available for pick-up at the winery only. Sorry, this set is not available to ship.